As you may be aware, there are quite a few options these days when it comes to making your morning commute more eco-friendly. While some people are keen to ride their bikes or jog to work (getting in their exercise while cutting back on carbon emissions), not everyone has that option. However, people find other ways to compensate, such as taking public transportation or joining carpools. But when it comes to buying your own vehicle (still the transportation of choice for most people) you can go even further, not just with the car you choose but with your shopping methodology. Here are a few tips to make the car-buying experience as eco-friendly as possible. The auto industry has seen some major changes over the last several years thanks public to demand for cars that meet green standards (in terms of both greenery and greenbacks), environmental reports decrying the impact of fossil fuel consumption, governmental decrees setting higher standards concerning acceptable limits for carbon emissions, and of course, the economic downturn. The result has been a surge of automobiles that provide consumers with fuel-efficient, cost-effective alternatives to the gas-guzzling, carbon-spewing cars of yesteryear. It began with hybrids and quickly evolved to include fully electric cars as well as those able to run on alternative fuels like ethanol, methanol, compressed natural gas (CNG), liquefied natural gas (LNG), liquefied petroleum gas (LPG), biodiesel, and even hydrogen (although the last one is more theoretical at this point since distribution is a problem). And of course, the new plug-in hybrids have added another dimension of accessibility for drivers not quite ready to give up their gas-powered vehicles just yet. 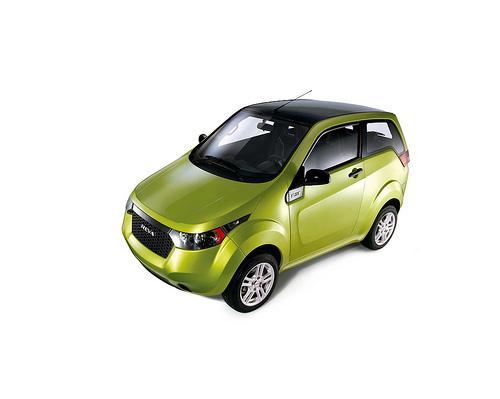 The point is that there are tons of options on the market for the eco-friendly citizen looking for ways to green up every aspect of his or her life, including transportation. But you probably already knew that such options were available. The trick is selecting the one that is best for the environment and for your lifestyle. And here you can green up the works, as well. You don’t have to shop for a car the same way your parents and grandparents did. Thanks to the growth of the internet as a tool for commerce you can now shop from the comfort of your own home far more quickly than previous generations (no more spending a day touring dealerships to compare cars). And the wealth of information provided online could allow you to make your selection and order your new automobile without ever setting foot outside your door. With myriad sites offering cross-checking capabilities, reviews, road tests, side-by-side comparisons of comparable cars, features, pricing, and even the ability to “build your own car”, there’s almost no reason to go to a dealership anymore (except perhaps to get loan approval and attempt to haggle the price down). Although some people are still keen to test drive cars, you can at least use the vast scope of information available on the internet to narrow down your search so that you need visit only a couple of retailers rather than the dozen you originally had on your list. And if you’re old clunker finally bit the dust, leaving you sans your four-wheeled locomotion, skip the car hire service or cab call and pedal your bike over to a nearby dealership row to peruse the goods in a decidedly eco-friendly manner. 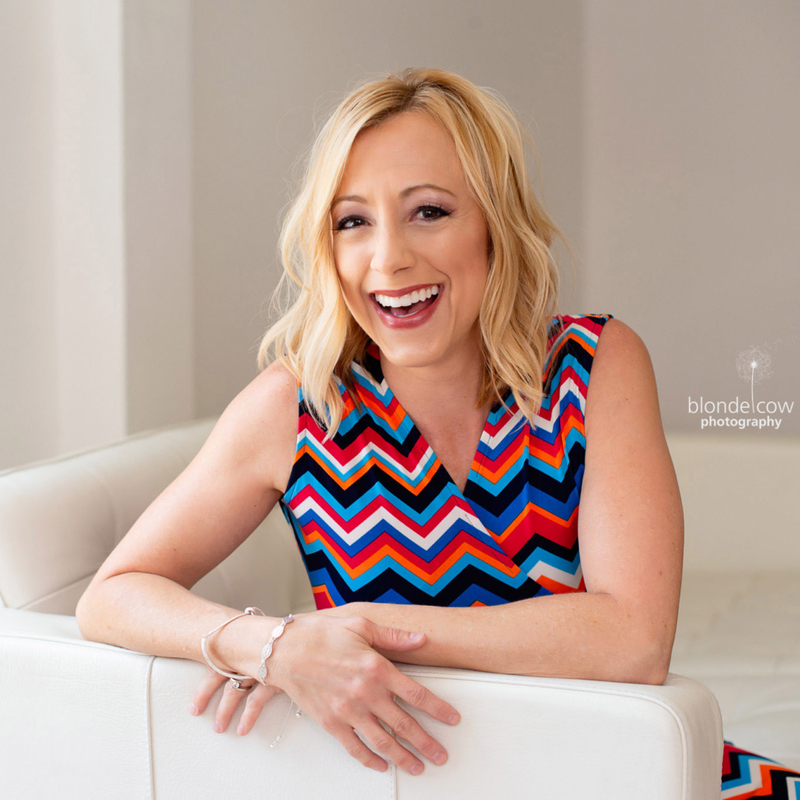 Sarah Danielson is a contributing writer for Car Rentals – car hire Faro Airport, the best online car rental supplier with over 4,000 locations worldwide. We love how quick and easy this healthy party dip featuring Popeye Spinach is to whip up – just combine and chill until ready to serve! Combine yogurt and cottage cheese, and stir until smooth. Stir in spinach, onion, chili powder, dill weed, and lemon juice. Place in serving dish. Cover and chill until ready to serve with fresh vegetables, crackers, or breadsticks. Boring dinners have just been made over with Char Crust® Dry-Rub Seasonings! Use these mouth-watering dry rub seasonings to spice up poultry, seafood, steaks, and even potatoes – no need to marinate for hours to enjoy your meal. From March 30th – April 10th, you can enter to win four Char Crust® Dry-Rub Seasonings blends daily on Tiny Green Mom! • Roasted Garlic Peppercorn features the robust flavor of roasted garlic and onions with the zing of peppercorns and a hint of Worcestershire and lavender. Its versatility has made it a best seller. It complements steaks, lamb, seafood, pork, poultry, and potatoes. • Ginger Teriyaki is a balance of sweet teriyaki, fragrant ginger, plus a tingly touch of wasabi that lends a new dimension and creates a modern teriyaki interpretation. It complements chicken, fish, and steak. • Amazin’ Cajun is a spicy-sweet blend of piquant cayenne pepper, onion, garlic, oregano and a mélange of other Mardi Gras flavors. It brings the sublime heat of New Orleans to catfish, chicken, shrimp, and even “dirty” rice. • All American Barbecue takes the best flavors of American barbecue and blends them into a tangy-sweet, slightly spicy rub. It has rich molasses from Memphis, tangy tomato from Kansas City, mustard, pepper and vinegar from the Carolinas, plus a wisp of smoke from Texas. First, leave a comment below to let us know why you would love to win the Char Crust® Dry-Rub Seasonings Giveaway! 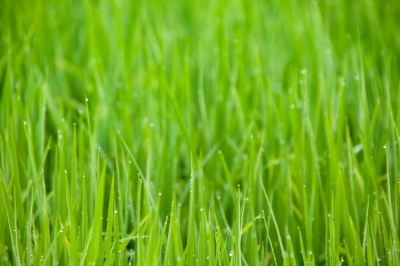 Leave a comment on another Tiny Green Mom post. Leave a comment below with the name of the post you commented on. This is only valid for one entry.. 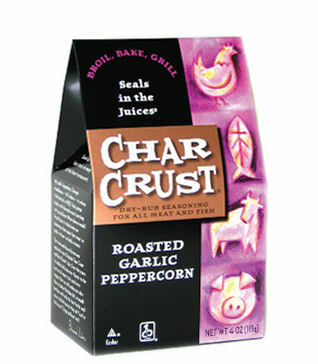 The Char Crust® Dry-Rub Seasonings Giveaway ends on April 10th, 2012 and is open to the US only. Please leave your email address in each comment, and make sure to leave a separate comment for every each and every entry that you make so that they will count for you! Simplify your daily beauty routine with Weleda’s New One-Step Cleanser and Toner, which cleanses and refines your skin in one simple step! Ideal for normal to combination skin, this lovely lotion smells fabulous as it cleans and tones without drying out your skin. “Mom” is a huge fan of Weleda skincare products, and this new One-Step Cleanser & Toner did not disappoint! Easy to use – just place on a cotton round and wipe over the skin before applying your moisturizer. The light citrus fragrance, which has been derived from pure essential oils, perks you up in the AM, which is a bonus! In addition to toning, the One-Step Cleanser & Toner can be used to effectively remove make-up, as well. 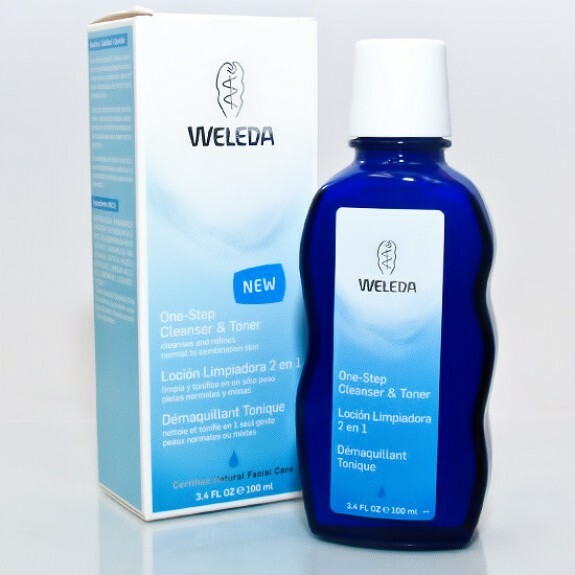 To learn more about Weleda’s One-Step Cleanser & Toner, as well as their extensive skincare line for face and body, please visit weleda.com. Preheat the oven to 375F (190C). Arrange bread on a rimmed baking sheet. Drizzle with olive oil and sprinkle with salt and pepper; toss to coat. Bake, tossing occasionally, until golden, about 12 to 15 minutes. Remove from oven and let cool. In large skillet, cook bacon over medium high heat until crispy. Drain on paper-towel lined plate and cool. Crumble. 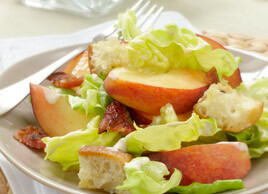 In a large bowl, toss romaine, Boston lettuce and peaches. Set aside. In blender, combine lemon juice, mayonnaise, Parmesan, anchovy fillets and garlic. Blend on high until smooth. Toss croutons and bacon with lettuce mixture. Drizzle with dressing; toss and serve immediately. College campuses across the nation are taking a new stance on sustainability. As the green movement grows, it is reaching colleges and universities thanks, in part, to student initiatives. If you are looking for a campus that fits in with your environmental ideals, you may be surprised at how many choices you really have. Read on to find out how colleges across America are increasing their sustainability! At the University of Albany in New York, students are given real life lessons that they will carry with them for the rest of their lives. As a part of a living and learning community, students are placed in residence halls or apartments and sent fake energy bills. They are fake because, as students, they are not expected to pay for their own electricity, heat or water. However, by sending these fake notices, students are made aware of how much energy they are wasting, or saving. Students who use the least amount of energy receive gift cards to the local mall. In what may be the greenest graduation ceremony ever, students of the 2009 class at Unity College in Maine provided an example that others are now following! For the commencement ceremony, 75 percent of the food was purchased from local farmers, e-invites were used to invite friends and family to the festivities, gowns were made from recycled bottles and the diplomas were printed on post-consumer recycled paper. Thanks to this example, other universities in the nation have held green commencement exercises in the past few years. Perhaps most notably, Quinnipiac University in Connecticut utilized biodegradable gowns and offered their graduates the opportunity to turn their gowns back in to be reused by future graduating classes. 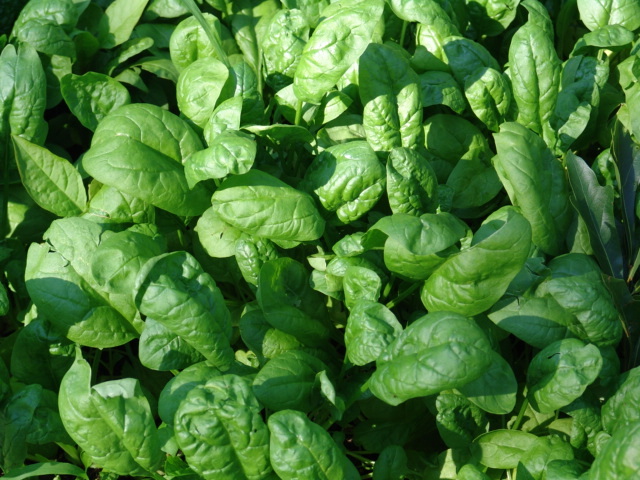 Many colleges are now utilizing local farmers as their main source of food for their dining halls. Schools like Colorado College are committed to supporting local and student farmers to supply the bulk of their food. Not only do students who are involved in these farming communities learn about organic and sustainable farming, they are often given free room and board in exchange for their efforts. In addition to supporting local farmers, many college campus dining halls are now offering vegetarian and vegan options. In years past, students who chose not to eat meat were relegated to the salad bar and a piece of fruit. Today, amazing vegan fare is offered alongside more traditional, meat-based dishes. Most people are surprised at the effect ceiling fans can have on heating and cooling costs. For dormitories, auditoriums and other large spaces, strategically placed ceiling fans can eliminate the need for energy-hogging heating and air units. By running the fans at high-speed in the summertime, and at low-speed in the wintertime, colleges and universities are finding that their reliance on traditional heating and A/C units are reduced considerably. For some colleges, maintenance vehicles are a leading cause of pollution on campus. Many universities have begun replacing their fleets with electric cars to reduce the carbon footprint of the campus as a whole. While these changes can be expensive, the cost is offset by the reduced reliance on gasoline to fuel the vehicles. By replacing gas-guzzling vehicles with environmentally-friendly, electric models, these universities are not only helping to improve the air quality on campus, but the air quality of surrounding areas as well. As more colleges and universities adopt green campus initiatives, the environment will be a cleaner, safer place for us all. If you are heading to college for the first time this year, you may find that the first step to an environmentally-friendly campus lies with you; don’t be afraid to get involved and share your ideas! You never know where those ideas may lead. Nicole Morgan is an environmental studies advisor and career counselor, she blogs for intelicus.com where you can find information about online master degree programs. She enjoys finding green career opportunities for her students. Using a sugar-free baking mix from Sans Sucre, creating a moist and deliciously low-fat Caramel Apple Cake is a breeze! Preheat oven to 375o F. Prepare 8”x8” pan by lightly greasing or spraying with non-stick cooking spray. Chop apple into chunks. Blend water, all-natural applesauce, egg and both mixes in a medium bowl using an electric mixer. Fold apple pieces into cake batter. Spread evenly in greased pan. Bake 25-30 minutes or until inserted toothpick comes out clean. Cool completely. Drizzle sugar-free caramel over top of cake. Store covered. Sans Sucre is the first line of baking mixes from foodservice industry specialists, Bernard Food Industries, Inc that are flavored with Stevia, an all-natural sweetener. In addition, they are sugar-free or no sugar added, low fat, no cholesterol, lower in calories and lower in sodium. For more information visit: www.sanssucrefoods.com. Char Crust® dry-rub seasonings consist of premium herb blends, spices and other natural ingredients that can be simply rubbed onto the surface of uncooked meat or fish, or sprinkled over raw vegetables then broiled, baked, grilled, pan-seared, roasted, or sautéed. A little truly goes a long way, especially with the Amazin’ Cajun blend! • Original Hickory Grilled offers rich, hickory grilled flavor. This classy companion to your favorite steak is the original used at Al Farber’s legendary steakhouse. A bit smoky-salty-sweet, it enhances the natural flavor without overwhelming. Also delicious on boneless/skinless chicken breasts, tuna steaks, and your favorite vegetables. • Sun-Dried Tomato & Garlic. Imagine the Italian sun warming your face as you close your eyes and smell the luscious, vibrant aroma of sun-dried tomatoes, roasted garlic, rosemary, and just a hint of lemon. Delicious on mild fish like tilapia, cod, haddock, or shrimp. “Mom” tried and tested the Amazin’ Cajun on grilled tilapia, and it was fiery in all the right ways! Char Crust® recommends the following recipe for Pan-Seared Tilapia, although “Mom” prefers her tilapia grilled. Heat a cast iron pan on the stove until very hot. Season one side of the fish with Char Crust® Amazin’ Cajun Dry Rub Seasoning, generously covering the surface. Drizzle a little oil all over the seasonings, using your fingers to rub in and distribute evenly. Seasonings will look moist and darken a bit. Place the fish, seasoned side down, into the pan. It should sizzle immediately, and you may get some smoke. Cook a few minutes until just cooked through. Transfer to plate with seasoned side up and place pat of butter on top. 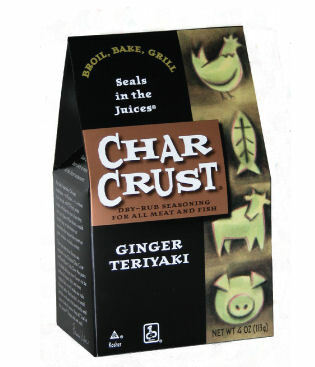 To learn more about Char Crust®, and to locate a retailer near you, please visit CharCrust.com. More and more Americans are making the choice to go natural—at least, as far as the things they buy are concerned. Surveys show that 73 percent of consumers are more likely to buy a product if they know it’s certified natural. You should know, however, that the companies making these products are the ones deciding whether they can be called natural. There is no legal or regulatory definition of the word. • Read the label. The list of ingredients can be your key to whether something is truly natural. Such things as parabens, phthalates, synthetic polymers and silicones indicate it’s not. • Look for the seal. To help consumers easily identify pro­d­ucts that are truly natural, the leading voice of the natural products industry, the Natural Pro­ducts Association, launched the Natural Seal and certification program for personal care and home care products. Hundreds of certified products display the Natural Seal on their packaging. All the certified products have been verified to fit the Natural Standard by an independent third-party auditor. Among other re­quirements, certified products are at least 95 percent natural, excluding water; use natural ingredients from a source found in nature and processed within the list of allowed processes; and use 100 percent natural fragrances and colorants. They avoid ingredients with health risks, don’t include animal testing and have mostly biodegradable or recycled material in the packaging. Products with the Natural Seal must list all ingredients on the package label. • Do some research. Hundreds of products have been granted the seal and more than 85,000 stores of all sizes carry certified products. Check out ahead of time if your favorite brands have been certified at www.NaturalSeal.org. • Learn more. You can also connect with the Natural Seal on Facebook at www.Facebook.com/NPANaturalSeal and on Twitter, @NPANaturalSeal.